The book tells the story of these men as they struggle with the pain of their own losses, the chronic pressures of poverty and unemployment, and the unquenchable desire to do better and provide more for the next generation. Although the group begins as a forum for them to discuss issues relating to their roles as parents, it slowly grows to mean much more: it becomes a place where they can share jokes and traumatic experiences, joys and sorrows. As the men repair their own lives and gain confidence, the group also becomes a place for them to plan and carry out activities to help the Watts community grow as well as thrive. At a time in which racial justice seems more elusive than ever—stymied by the generational cycles of mass incarceration and the cradle-to-prison pipeline—the group’s development over time demonstrates real-life movement toward solutions as the men help one another make their families and their community stronger. 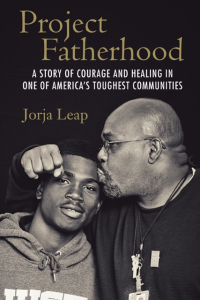 Project Fatherhood: A Story of Courage and Healing in One of America’s Toughest Communities is published by Beacon Press (June 2015). All proceeds from book sales go directly to Project Fatherhood. Jumped In, shares stories that reach behind the statistics and sensational media images to the real lives of those stuck in—and trying to escape— “la vida loca.” Through oral histories, personal interviews, and eyewitness accounts of current and former gang members, as well as the people who love and work alongside them, readers come to understand both the people pulled into gangs and those trying mightily to forge alternatives and help their community. The book delves into the personal lives of current and former gang members, with the aim not only to find out what leads them to crime and how to deal most effectively with gang activity, but also to hear the voices of those most often left out of the political conversation and to learn from leaders who offer a different kind of hope, through community outreach and jobs programs. 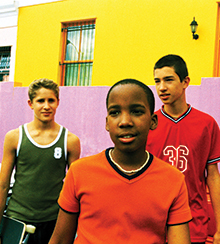 Ultimately, Jumped In is a chronicle of the unexpected lessons gang members have to offer. 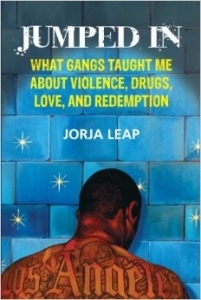 Jumped In: What Gangs Taught Me about Violence, Drugs, Love, and Redemption is published by Beacon Press (2012). 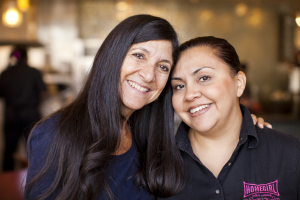 All proceeds from book sales go directly to Homeboy Industries.